If you have been a WineCollective member for more than a month, you would have un-boxed July’s package to a surprise! WineCollective Tasting Cards are better than ever – we hope you agree! Since our inception, almost seven years ago, WineCollective members have experienced 4 versions of tasting card designs. Well… today, with the help of Little Rock, we print over 5,000 cards each and every month. One card for every bottle ordered! Our second version was as tall as the bottle itself. While this version was excellent for viewing details, they were not paper friendly. We quickly learned our lesson and moved on to our next design, which stayed with us for 4 years! WineCollective staff completes every part of the Tasting Card from start to finish! Inside HQ, we have a small photo studio, where every bottle is photographed. From there, we taste and create our reviews and notes before our designer, Chris, pieces all the parts together! We’ve expanded our review to include more information on the winery, vineyards, regions and grape varieties. Check out the map! Our new cards contain a map of the region from which the wine was created. We hope this new visual inspires you to visit these regions! Your personal tasting note section has been removed. Instead, tell us your thoughts online! 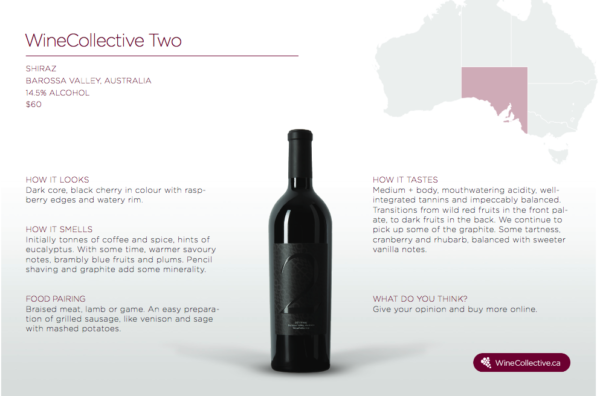 Login to your WineCollective account to view, rate and comment on all of the wines that you receive! We’ve heard your request! 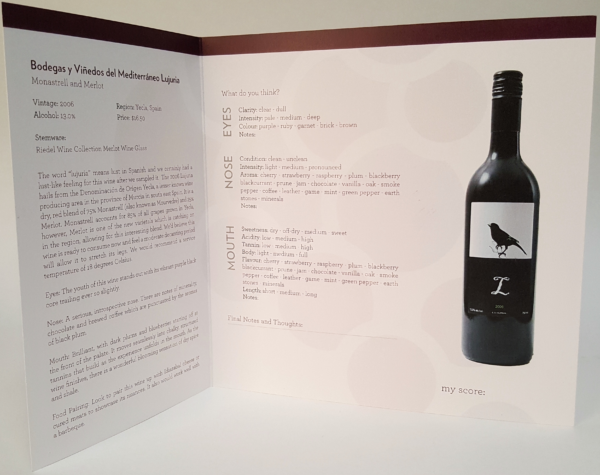 WineCollective will soon introduce a keepsake binder for your tasting cards. Stay tuned! We would love to hear what you think about WineCollective’s newest Tasting Cards. Leave a comment below! Uncork New York… at home!